Credit reports contain important information concerning you including where you reside, work, in addition to particulars in relation to your credit history. Lenders, employers, landlords, hospitals, and various parties can easily acquire copies of your credit reports to discover your creditworthiness. In a June 2004 survey, the Public Interest Research Group (U.S. PIRG) discovered that one in four credit reports contained serious enough errors to deny consumers credit, keep them from getting an apartment, or be denied employment. Obtain your credit reports. You found an error on one credit report, but you should check your other two reports to determine if this same mistake continues to be included on those as well. 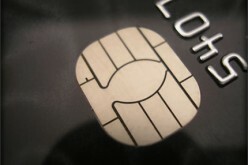 Experian, Trans Union, and Equifax are the three credit reporting bureaus. 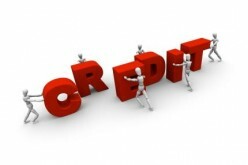 You can obtain one free copy annually of each credit report by visiting AnnualCreditReport.com. Review each report; errors must be reported directly to the respective credit bureau. File a credit report dispute. According to the Federal Trade Commission (FTC), both the credit bureau and the information provider must correct inaccurate or incomplete information appearing on your report. In your case the information provider would be a lender who insists that you owe them money. Send a dispute letter to the credit bureau explaining why you believe certain information is incorrect and include copies of supporting documents such a copy of your loan showing that it has been paid off. Visit the post office and request that your letter be sent by certified mail with return receipt requested in order to ensure that the consumer reporting company received it. Keep copies of your dispute letter and enclosures for your records. Repeat this step with each credit bureau only if that information appears on their reports. Wait thirty days. Once you have filed your dispute, the credit bureau has to investigate your claim, something they must complete within thirty days if your claim has merit. They will contact your lender and provide to them a copy of your dispute letter and supporting documentation for their review. Once the investigation is complete, then the credit reporting bureau must give to you their findings in writing. If ruled in your favor, then the credit bureau will also issue to you a free, corrected copy of your credit report. You will also be supplied with contact information of the information provider. You can also request that the credit bureau, at their own expense, notify everyone who has looked at your credit report within the past six months that a dispute has been settled in your favor. For employment purposes, that right extends for two years. Follow up with the credit bureau. If the credit bureau determines that the debt has not been settled, then you can arrange with your lender to make payments or a settlement. You may also want to ask the credit bureau to place a statement of your dispute in your file and in future credit reports. That way people who obtain copies of your credit report know that you have addressed the issue. A sample dispute letter is available on the Federal Trade Commission site. Send your letter and supporting documents to the address provided by the credit reporting bureau. Make sure that the information in your credit reports is accurate before applying for a loan, buying insurance, or applying for a job. The dispute process can delay everything else until your situation has been resolved.